Well here it is, Monday May 29th, and I am sitting in the Rome airport again like I was exactly two weeks ago. I have anticipation of a new kind as I head to Spain today (where I will encounter even more of the unknown then what I have already come into contact with in Italy) and carry with me sweet memories and a little bit of sadness as I say goodbye to my time in Italy. Everyone parted ways this morning and as we said goodbye, we all agreed this has been the fastest and busiest and absolute best two weeks of our life and we wouldn’t trade them for the world. As you may have noticed, it is Monday and I haven’t posted a blog since last Tuesday (Okay now it is Wednesday but you get the idea… #canyousaygoingandblowing). I promise I am alive and well haha! 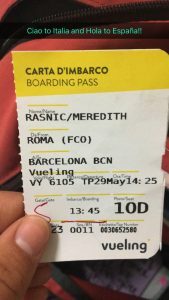 The whole idea of “do a quick blog every day” was a bit more of a challenge than I was expecting and when we arrived in Rome, the pace of the trip picked up significantly and we had more school work so the blog posts made their way to the back burner. We were walking 8 or 9 miles a day in the heat and by the time I got back to my room at night after dinner and some sort of “Holy cow we are in Rome so we have to go do this” activity or writing an essay, it was all I could do to keep my eyes open while brushing my teeth, let alone upload pictures from my camera and write a blog post. Sooo, I am a little behind but oh well! I took some notes throughout the week for my own personal memory and then will recap the past week with pictures on here as I can. I realized the every day blog update is slightly ridiculous/just not realistic or practical, and I want to be able to unplug and continue to enjoy everything around me. So as I begin my adventure in Spain, I am not going to blog every day, but just every so often when I have the time. Ciao to Italia and Hola to Espana!! 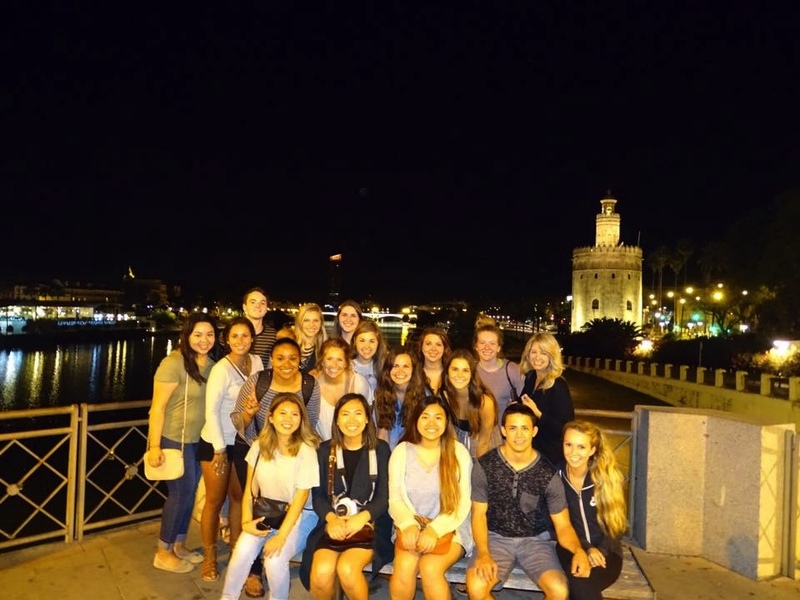 The Spanish 3 group from OU. Here we go!